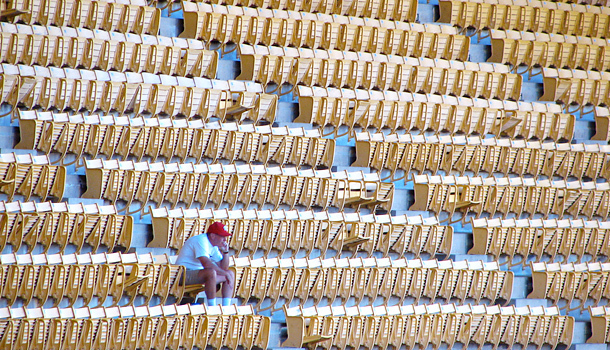 For the hard-wired and digitally wired baseball fan, the season doesn’t start when pitchers and catchers report to spring training. It starts when At Bat reports to the iTunes store. The wildly popular app, made by MLB Advanced Media (BAM for short), puts live game video, live stats, and the latest news and scores at your fingertips on a smart phone or tablet. For the first time, At Bat is a single, or universal, app and it offers an all-inclusive price, which is more convenient than the previous model. Last year, At Bat for the iPhone and iPad were separate apps ($15 each). A subscription to MLB.TV, the service that streams every baseball game (except for local games, which every team save the Jays, Padres and Yankees black out to avoid competing with the TV broadcast) cost up to $120. It took three transactions–costing up to $150–to get the same service on the different devices. 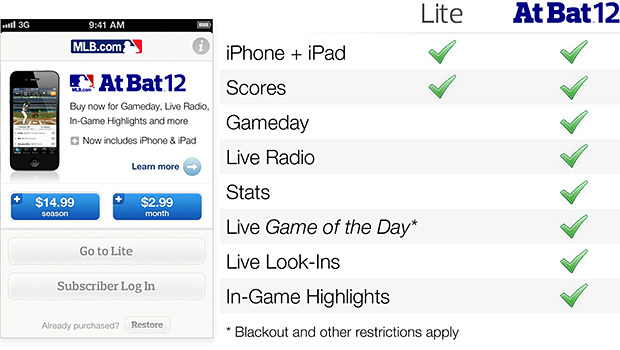 This year, you download At Bat 12 for free and then upgrade, $15 for an app with highlights and other features, or $125 for everything–the premium version of the streaming service and the iPhone and iPad apps. “We had 80,000 people who bought it twice last year,” Bowman says of At Bat. “Some of them took the time to write me an email about what they thought about that.” They were as subtle as Bobby Valentine reacting to a bad call. Right off the bat, BAM has to make up the lost revenue from app purchases that are no longer necessary. Diehard fans, like those who attended BAM’s Fan Upfront on Tuesday night at Manhattan’s Chelsea Market and previewed this year’s products, will almost certainly spring for the comprehensive plan. Nearly 90 % of MLB.TV subscribers renew despite the fact that renewal isn’t automatic the way a cable service such as HBO is. Follow Chuck Salter or Fast Company on Twitter.